The "first losers of [a no deal Brexit] would be the British," French President Emmanuel Macron said after learning about Tuesday night's Brexit deal defeat. British MPs voted 432 - 202 to reject Prime Minister Theresa May's Brexit deal, which also marked the UK's worst parliamentary defeat in history. 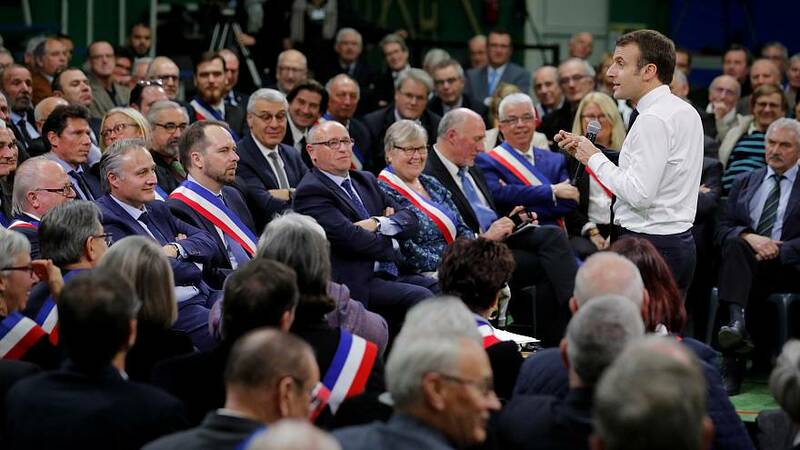 Macron's comments came as he neared the end of a 7-hour town hall meeting in Normandy, in which he shared his predictions for the UK's next steps. "I'm gonna tell you how I see things," he said. "First option: they go towards a no deal so they say there is no agreement. It scares everybody. The first losers of this are the British people. So, in this context, they will have to - without any transition period - renegotiate a future relationship." "I think that's what they'll do. I know them a bit," he said. "In that case, we'll look into it, and maybe we'll make improvements on one or two things, but I don't really think so because we've reached the maximum for what we can do with the deal." The EU won't stop defending European interests "just to solve Britain's domestic political issues." The result of yesterday's Commons vote, asserted Macron, "says a lot about what referendums, which seemed nice, can create. It's a referendum that has been manipulated, manipulated from outside by a lot of what we call fake news, where everything and anything was said, and now they are being told 'figure it out yourselves'. Result: it is not true. We (the Leave campaign) have lied to the people and what they (the public) have chosen is not possible. Good luck to the representatives of the nation who have to implement a thing which doesn't exist and explain to the people: 'you have voted on a thing, we lied to you. That's what they have to go through."